You've upgraded your phone. Isn't it time to upgrade the way you charge it, too? Now you can charge with no wires, no frustration, and possibly in less time than you're used to. What is a wireless charger? Wireless chargers are portable chargers that don't require wires or cables. They're easy to use and set up. All you have to do is set your device on the charger and it will automatically begin charging. You can also continue to use your device while charging, and even answer a call without unplugging. Wireless chargers tend to work with most Qi-enabled devices, but may not offer fast charging for your device, so you would still have normal charging times, with the added convenience. 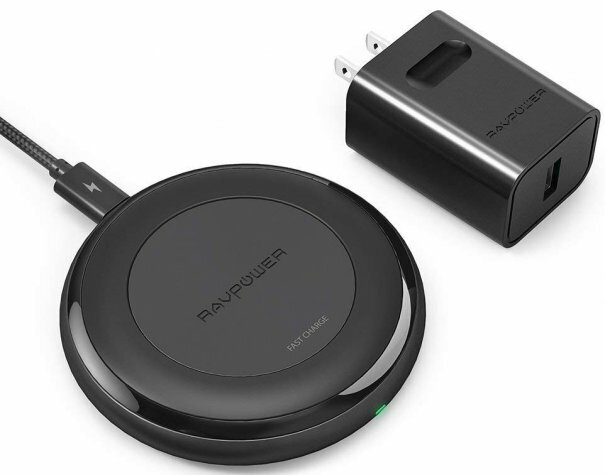 An Amazon's Choice Product, the Fast Wireless Charger RAVPower 7.5W features up to 10W charging for all Qi-enabled and quick charge devices. It has a phone charging LED indicator light, nonslip rubberized coating, and high-friction base pad. The safety features also include short circuit protection, overheat protection, and over-current, over-voltage, and overcharging protection. It uses HyperAir technology for faster charging speeds — up to twice as fast as traditional wireless chargers. This includes a wireless charger, QC 3.0 adapter, and USB to micro USB cable. It has more than 900 five-star reviews and is recommended by Digital Trends and TechRadar. 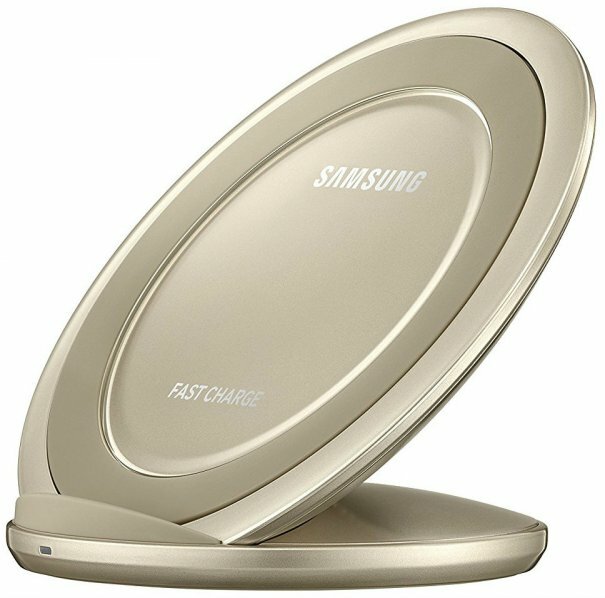 The Samsung Qi Certified Fast Charge Wireless Charger Stand includes a wireless charge stand and fast charge wall-charger. It works with all Qi-enabled devices, without the need to plug your device into a wall charger or USB port. The multicolored LED indicates charging status and proper device alignment. This is available in a range of colors and options. It's recommended by MacWorld and has more than 6,000 five-star reviews on Amazon. It's also backed by a one-year warranty. 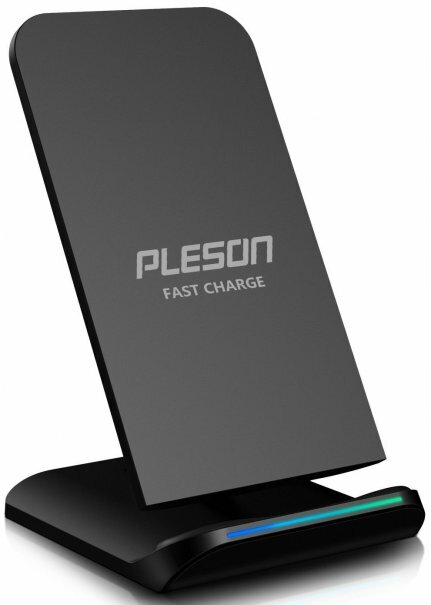 An Amazon's Choice Product, the PLESON Fast Wireless Charger works with all Qi-enabled devices. It stands upright, so it can double as a phone stand. The two built-in coils offer a larger charging area. It also features temperature control, an LED indicator light that automatically shuts off after 10 seconds, and an anti-slip pad. 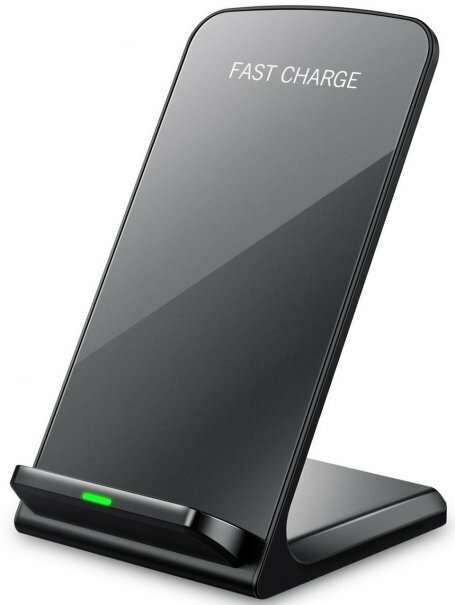 The compact wireless charger stand also has over-voltage, under-voltage, temperature control, surge protection, and short-circuit prevention features. This includes a wireless fast charger stand with a micro USB port and USB power cable. It is recommended by CNET and is backed by more than 3,000 five-star reviews on Amazon. It also comes with a 60-day money back guarantee. 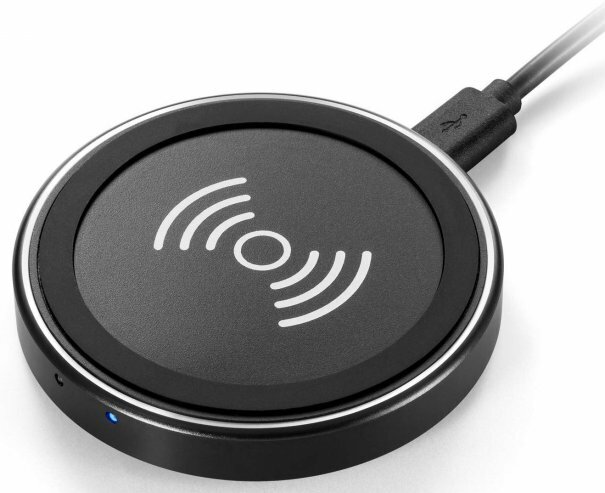 The Anker Wireless Charger uses cutting-edge wireless inductive technology. It has a minimalist coaster design and includes a micro USB cable. It features temperature control, anti-slip rubber coating, metal frame, LED indicator lights, and overcharge protection. Anker claims to be America's leading USB charging brand with more than 28 million happy users. It's also backed by more than 3,000 five-star reviews on Amazon and an 18-month hassle-free warranty. The Anker PowerPort Wireless 10 is also an Amazon's Choice Product. Amazon's Choice for wireless chargers, the Seneo iPhone X Wireless Charger works with all Qi-enabled devices. It has an LED indicator light and stand-up design, so you can use it as a phone stand as well. It's available in two colors and includes a quick-charging micro USB cable. It has nearly 4,000 five-star reviews on Amazon and is backed by a lifetime manufacturer warranty. The Seneo iPhone X Wireless Charger is another Amazon best-seller from the brand. 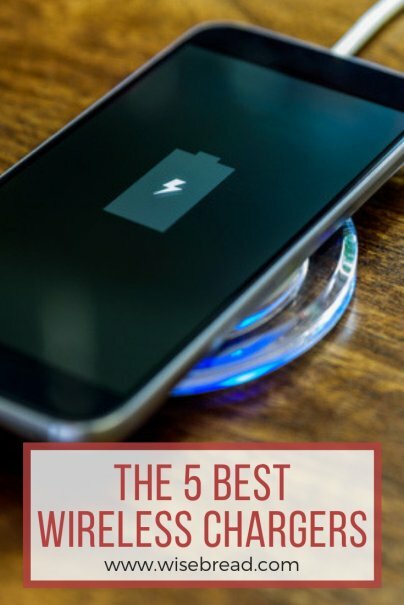 And those are our recommendations for the best wireless chargers. As always, be sure to check Wise Bread's Buying Calendar to learn when and how to buy just about anything!